The greater Pentwater area is a farming community at its roots. Oceana county is home to countless small family farms and larger corporate operations. Naturally, the region has several great farmers markets offering local goods and produce. A day spent on a local farmers market tour is a great way to explore the area. Travel the back roads from Pentwater to Silver Lake, through Hart, Shelby, and New Era. 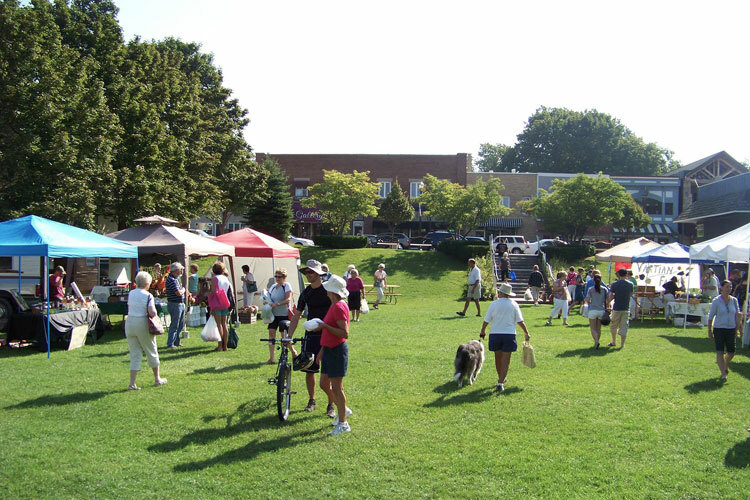 Find fresh produce, crafts, homemade goods, ice cream, and even an amazing petting zoo! The best that our local farmers have to offer - fruits, vegetables, baked goods, preserves, fresh cut flowers, and more. Rain or Shine. Jazz U-Pick / We-Pick Blueberry Farm is a family-owned operation offering the highest quality, best tasting blueberries in the area. Offering fresh produce, homemade bake goods, and award winning pies - a 'must stop' on the way to Pentwater. Get locally-grown farm-fresh produce: fruits and vegetables, gift items, honey, maple syrup, freezer jam, and lots of delicious baked goods.